Janet Kay lives and writes on a pristine lake in the woods of northwest Wisconsin. Drawn to nature since she was a child, she sees it's wonders as a source of renewal, reflection and connection with something greater than oneself. Her lifelong interests include creative writing, travel, photography, exploring nature, and spending time with family and friends. 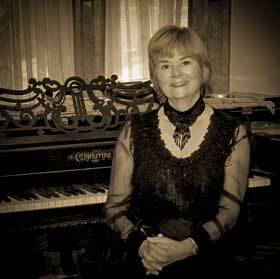 She has a special interest in the Victorian era and in the paranormal. Janet's debut novel, Waters of the Dancing Sky, is an inspirational love story/wilderness adventure set on the islands of Rainy Lake, along the Minnesota/Ontario international border. Her second novel, AMELIA 1868 is a suspense-filled paranormal, historical fantasy novel set in the old western ghost town of Virginia City, Montana and the quaint country town of Walnut, Iowa. Both novels have received excellent reviews! 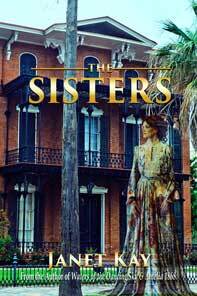 Just recently released by World Castle Publishing, is her latest novel, THE SISTERS. THE SISTERS is an intriguing paranormal/psychological drama that flows from the shores of historic Galveston Island on the Gulf of Mexico to the icy depths of Lake Superior in Duluth, Minnesota. The sisters, in love with the same man, find themselves trapped in karma from a past life they once shared. Go to the BOOKS page to order this book. 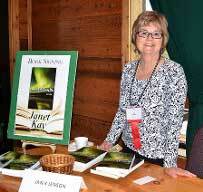 Janet Kay is a member of the Lake Superior Writers, Writers League of Texas, Wisconsin Writers Association and the St. Croix Writers of Solon Springs, Wisconsin.